Before writing her first novel, Birdie dabbled in the theatre, sold books at Waterstones, ran drama classes for children, and dispensed romantic advice to internet daters. She studied at two universities cunningly disguised as stately homes, taking a BA in Creative and Professional Writing at St Mary’s University, Twickenham and an MA in Writing for Young People at Bath Spa University, and gaining first-class degrees in between looking for secret passageways and dodging peacocks. Birdie is pro-body positivity and anti-bullying, and believes in kindness above all things. She lives in Surrey, where she writes despite the best interruptive efforts of her pets, Ziggy Starcat and Moppet the Wonder Dog. 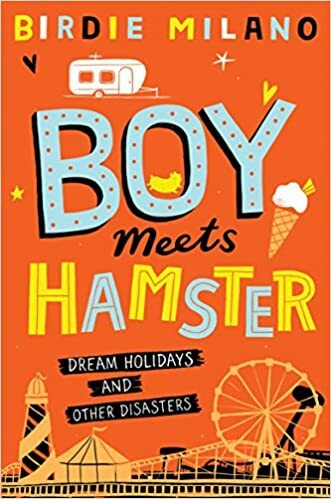 Her first novel, BOY MEETS HAMSTER, was published by Macmillan Children’s Books in 2018; her second is forthcoming.